What started out as me making a trip to Atlanta to speak to a journalism class at my alma mater, Morehouse College, which I've never had the honor to do before, has morphed into a full blown ATL roundup. Wrote a song about it; like to hear it? Here it goes. Are you a frequenter of the comments section and from the A? Do you lurk and are from the A? Are you from the A? If so, come out, meet, and hang with other VSBers (and Panama Jackson) at Lobby at Twelve in Atlantic Station. I picked a hotel bar since I figured that's the best way to be chill and be able to actually talk and socialize in a chill environment. To know me is to know that I'm kind of a turnup specialist. That typically isn't the best way to socialize with new folks you've never met. It works for me fine; I'll just take shots with everybody. However, I have learned that folks prefer more chill environs, so I've learned. Point is, come out around 5ish on Sunday, February 19th, 2017, to Lobby at Twelve to kick it for a bit with some drinks and meet other VSBers. 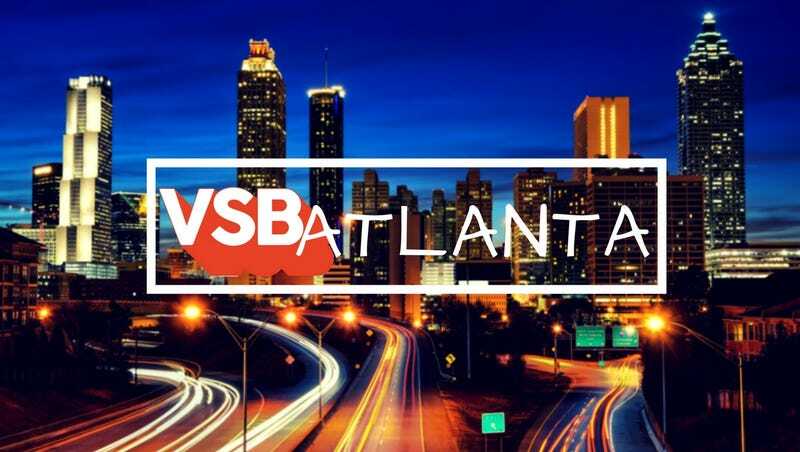 I'd personally love to meet any and everybody who comes to VSB whether you comment or not so I'd be honored to be in your presence even for a bit on what looks to be a beautiful Sunday afternoon in Atlanta.